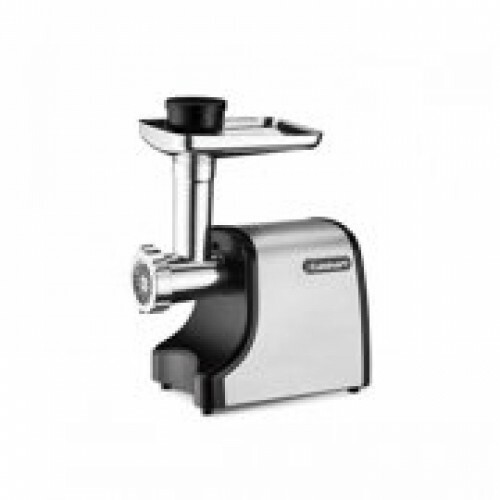 The Cuisinart Electric Meat Grinder effortlessly grinds a wide variety of meats, guaranteeing freshness and quality when making family favorites like burgers, meatloaf, meatballs,sausages, chili, and pts.The powerful 300-watt motor quickly grinds up to 3 pounds per minute, for professional grinding results. The grinder offers plenty of options with 2 cutting plates for medium and coarse thickness, as well as 2 sausage attachments for breakfast links and regular sausages. The single on/off switch, along with a reverse feature make operation as simple as can be.